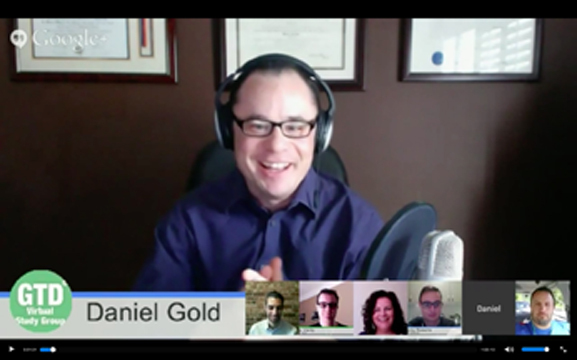 A very special panel discussion for this episode of the GTD Virtual Study Group. In this episode we discuss the ability to make tough decisions with more clarity of focus and with strategic vision by leveraging GTD and the six Horizons of Focus. A very big thanks to Art Gelwicks, Jeremy Roberts, Raymond Sidney-Smith, and Mike Vardy, for joining co-hosts Daniel Gold and Michelle Gunn for this one! We recorded this episode via Google Hangout. If you would like to see the video version, you can watch it here. In this special episode, learn about co-author of The Investment Answer, Dan Goldie. He talks about how writing this book with his best friend, the late Gordon Murray, changed his view on his "50K," how he handled the workflow of writing the book, and what it was like to tackle a significant and urgent project. The article from the Huffington Post mentioned in the interview can be found here. Author Michael Bungay Stanier joins the conversation to talk about what it means to do great work--work with purpose, meaning, and joy. Excellent ideas for getting in touch with your 50K horizon of focus and making those intentions actionable.